Late February of 2013. I took the KR out for a nice warm up flight and was once again so pleased with the way this plane flies, and the way this engine runs. I have a number of updates I'd like to do to the plane, but just can't stand to ground a plane that flies so nice. By afternoon, that tune had changed. I pulled the plane in to start on what should have been a quick and easy annual inspection. First thing was to do a quick compression differential check. Nearly perfect, 79/80, 78/80, 79/80, and 58/80. What? That can't be right! I checked a little closer and the news was not good. It was leaking past the rings. That does explain why the engine has been pushing a bit more oil than expected. One of these tired old +.015 over cylinders has finally given up. Surely it must be a broken ring. I pulled the cylinder and saw nothing obviously wrong. 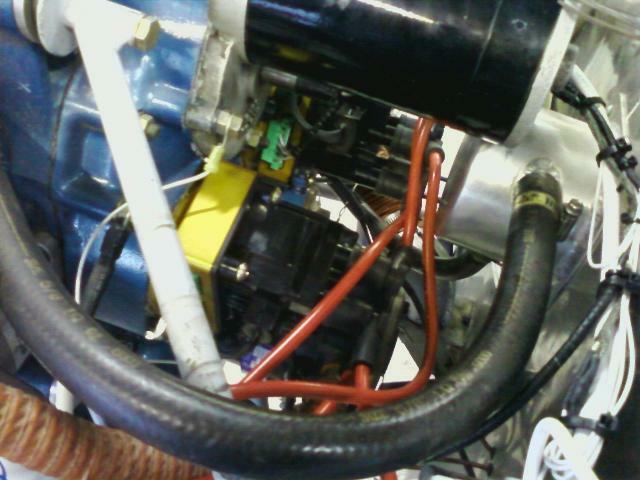 But measuring the cylinder, it has gone well beyond service limits and was showing some cylinder wall distortion. 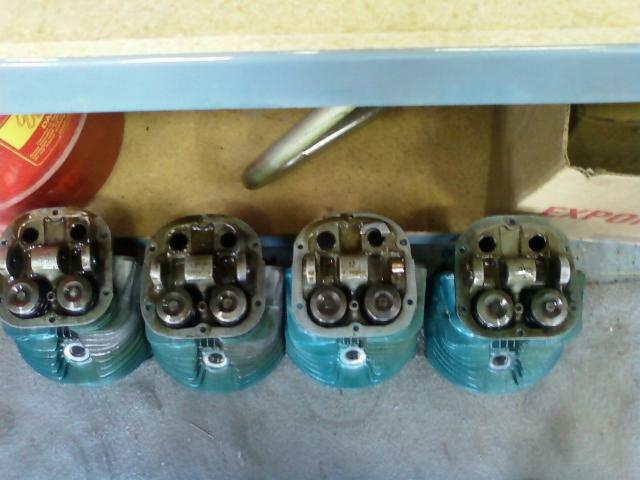 It's time for new cylinders. 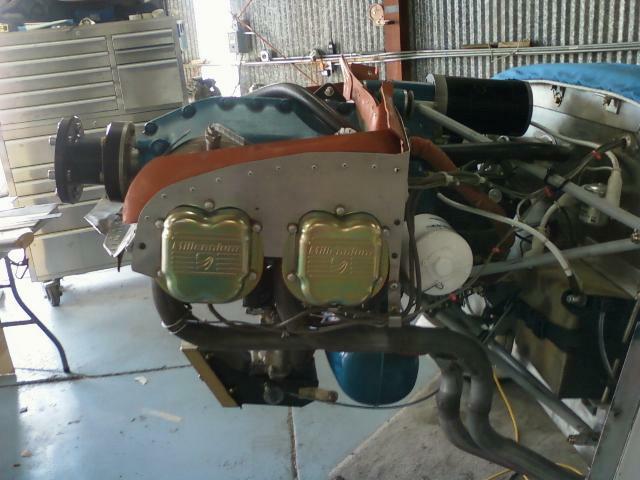 So, I got in contact with my friends at Aircraft Specialties and ordered a new set of Superior cylinders and a set of O-200-D pistons (8.5:1 compression rather than the 7.0:1 compression in the O-200-A). Wow! That was a surprise. I didn't think Continental was going to make those pistons available. I got into a real snag with the rings as Continental changed the top ring in the D pistons, then made them pretty much unavailable. Finally resolved it by having my friend Doug machine the top ring groove to fit the ring set from the C-75 through O-200-A ring set. Now that the plane is already down for major maintenance, it's time to do all those little things I've been thinking about ever since the last major refit in 2005.
broken again. 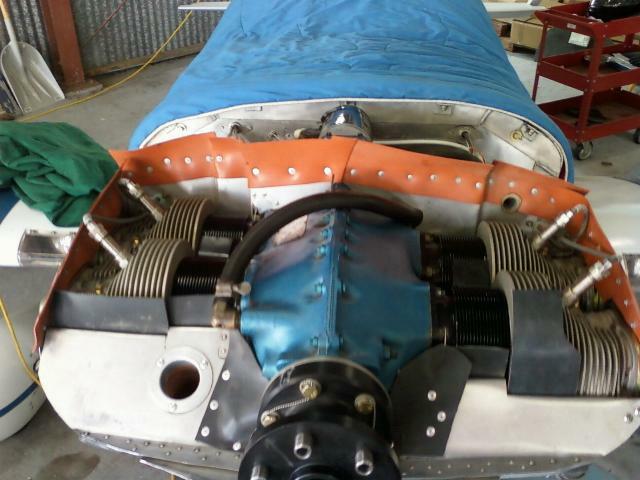 These cylinders are going into retirement and will not fly again. This is as far as I'll tear it down this time. 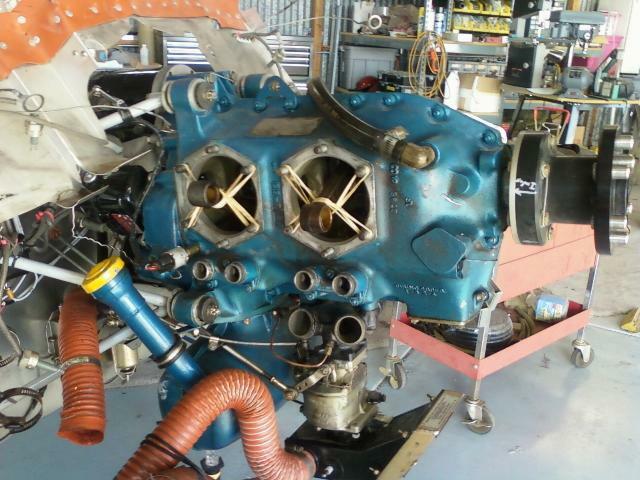 I did replace the mount bushings while the engine was stripped down. 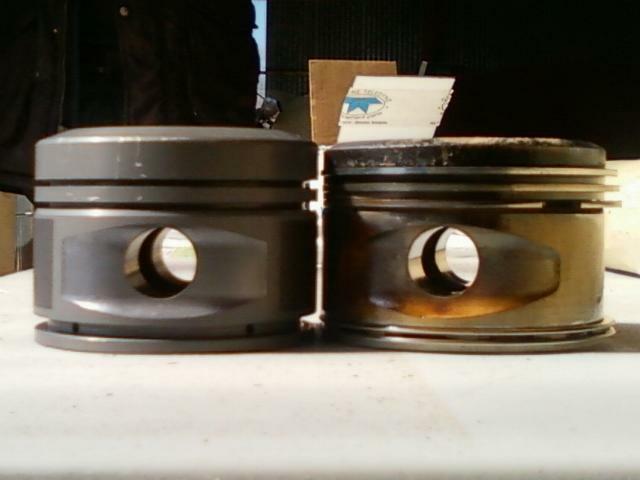 piston on the right. Note that the new piston is now down to 2 compression rings like most other pistons in the world. to get... or afford. We machined the top of the top ring groove straight to fit the original C series/O-200-A ring set. ring rather than the high dollar tapered ring seems to work OK.
to 20 - 25 hrs. I couldn't be happier! 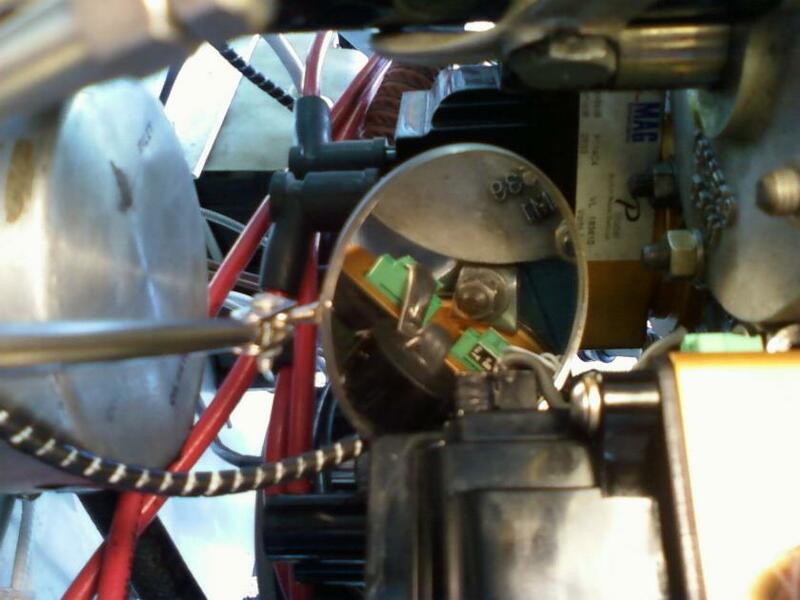 May 4 - What's up with the automotive plug wires and spark plugs? Hmm. That's not a magneto. to the less conservative timing curve and allow it to go to 39* advance. Update: After a year of operations, I find that I usually run the 34° advance unless I am headed out cross country. to keep the speed up in the climb. At cruise, all 4 settle in nicely at 275 - 300° F with either advance setting. 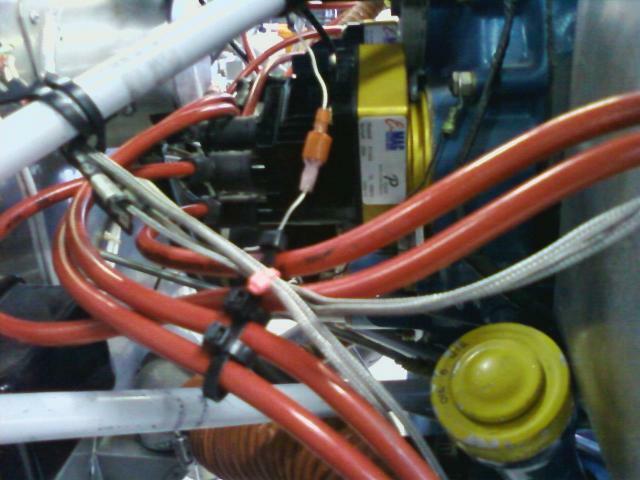 has taken me 18 years to notice I had 2 spark plug leads laying across a critical cooling area blocking the air flow. Once that was addressed, I now use the 39° advance curve nearly all of the time. completed and the aircraft is now ready to fly. the Unit free of charge. connector by bumping it with a socket during installation. I don't think it happened, but it is possible. an inspection on my other Pmag for free at the same time. April 2016 - As long as I was already grounded for the Pmag failure, I needed to do some other work as well. them to upgrade my O-200. 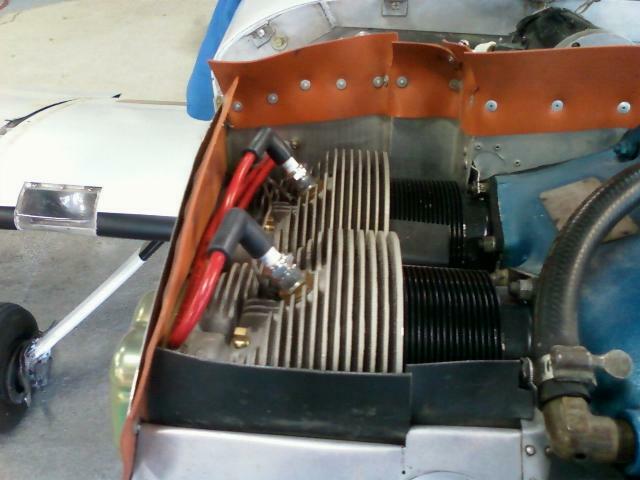 Plane Power Alternator. 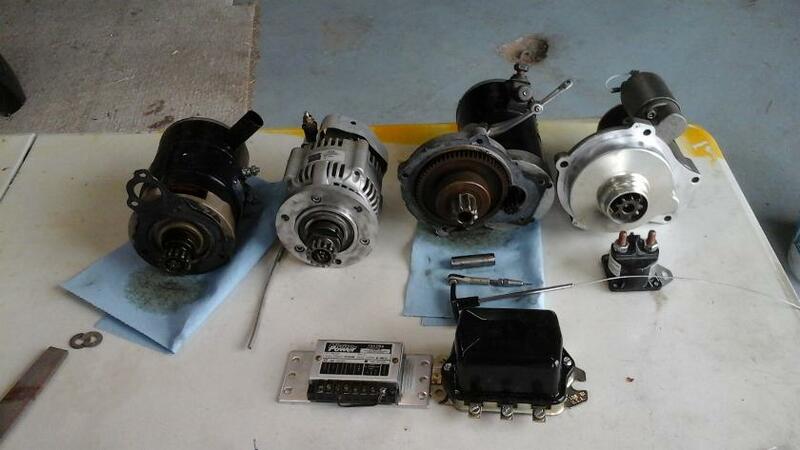 Delco Pull type Starter & B&C Starter. Mechanical Voltage Regulator & Plane Power Electronic Voltage Regulator. 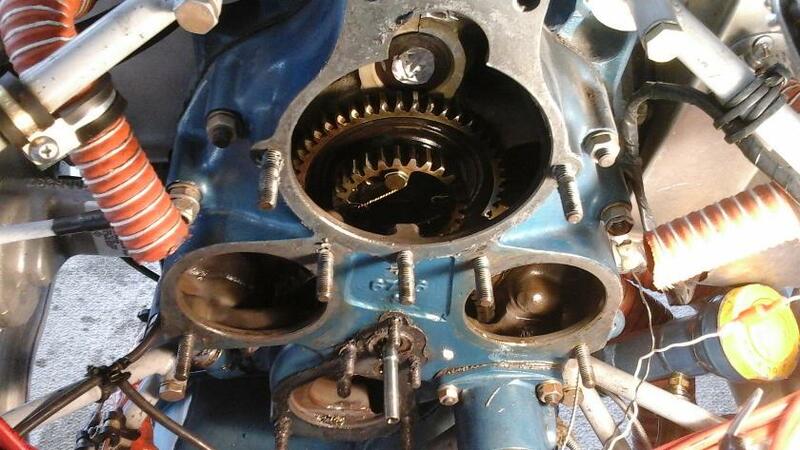 that fit over these gears, but any way you do it, it's an ugly job that is going to throw contaminates all over inside the accessory case of your engine. some stuff on it, but wasn't too bad. 1x4 blocks to bolster the battery weighs in at a whopping 4 lb, 3 oz vs the 14 lb weight of the old YB-16 Motorcycle battery and Fiberglass cover. Feel free to email me with comments or questions at jscott.planes"at"gmx.com.